Yes, the excellent scribes, researchers and scholars at No Starch Press are releasing a book with all the ingredients for incredible exellentness! San Francisco, CA (September 30, 2014) — This holiday season is looking up for LEGO® fans—especially those immersed in steampunk. 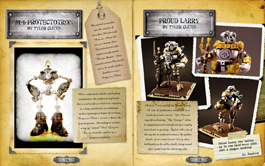 Meet steampunk connoisseur, LEGO artist, and special effects professional Guy Himber and his soon-to-be-released Steampunk LEGO (No Starch Press, November 2014, 200 pp., $29.95, hardcover, 4C), an incredible coffee table book sure to delight sci-fi and steampunk fans. Himber, a special effects artist with more than 50 feature films under his belt, including Edward Scissorhands, Independence Day, and Stargate, has been crafting imaginative worlds for years. 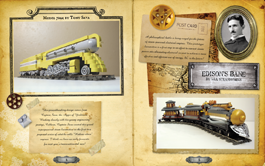 In Steampunk LEGO, he’s created a fantastical steampunk world, filled with photos of Victorian-era sci-fi treasures built solely from LEGO. Dirigibles, submarines, clockwork animals, and fanciful contraptions whisk readers away on a steampunk adventure—pure bliss for all who delight in whimsy and tiny gears. 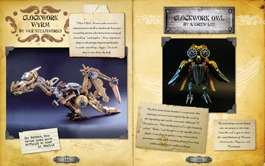 With its eclectic variety of models designed by dozens of the world’s top LEGO artists, Steampunk LEGO joins other jaw-dropping No Starch Press LEGO titles like Beautiful LEGO and LEGO Space in displaying the passion and creativity that so many millions invest in these little bricks. 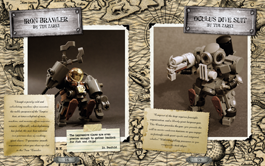 Steampunk LEGO arrives in fine bookstores everywhere this November.